Freeman cites Patrick’s claim that he was once “like a stone stuck deep in a mud puddle, but then God came along and with his power and compassion reached down and pulled [him]out.” Evidently, he began to recall biblical stories and prayers of his youth, reciting them over and over. Today, Google put out an image on their search page acknowledging S. P. day. It has a crowned heart. how touching and void of the appropriate religious significance. This is expected from an organization that is itself devoid of anything truly Christian. What caught me by surprise is that Samuel Adams, Boston Lager, also decided to join the boycott of the Irish parade. I guess the gay bars in town are just swimming in Sam Adams beer. I call on all hearty and stout beer drinkers to make the microbrewery more micro then they want to be. 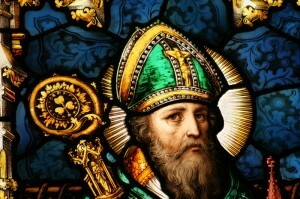 I wouldn’t set aside the shamrock, as it represents the Holy Trinity (it even appears on the crozier in the illustration accompanying this post). so, perhaps, is his authorship of the Lorica that is attributed to him. 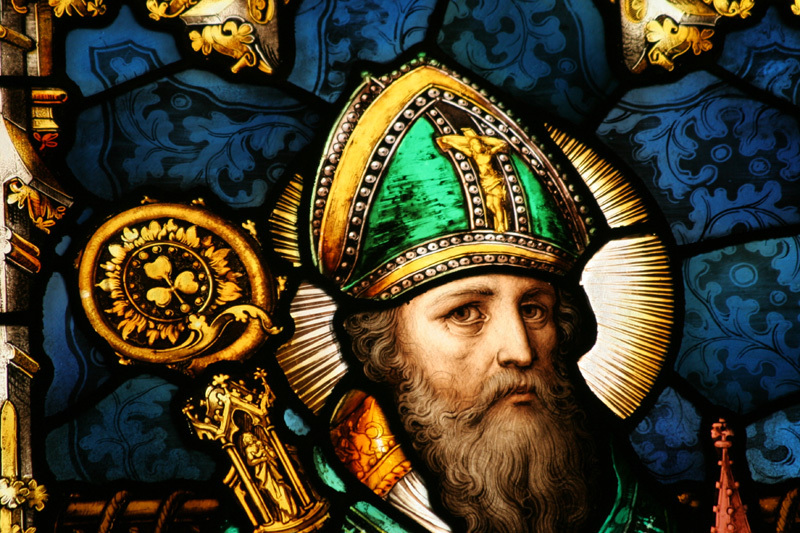 But, whether the story of the shamrock and St. Patrick’s authorship of the Lorica are apocryphal or not, they certainly represent Patrick’s gift to the Irish and to the Church.